Dr Smithson and his team offer referral services in Veterinary Dental, Oral & Maxillofacial medicine and surgery to practices, their clients and pets. We pride ourselves on care, quality, safety and attention to detail for all elements of each case and many of our patients are owned by vets, dentists and vet nurses. Feline and canine cases from throughout the North and Midlands are seen at two main referral centres, Woodcroft Referrals in Cheshire and Lanes Referrals in Lancashire. A zoo and island service also operates, with cases seen at Strand Veterinary Centre on the Isle of Man. Compassionate, professional approach and stringency of treatment and anaesthesia comes as standard. Excellent client experience is very important to us and time is taken to explain and openly discuss all elements of each pet’s condition and treatment options, including pro’s, con’s and costs of each. Empathy for both client and patient is fundamental to what we do and every patient is treated with care and consideration for their comfort and wellbeing. All operations are performed by Dr Smithson BVM&S BDS (Hons) Cert Endodontics MRCVS. Highly trained, and with 18 years experience, Dr Smithson is the UK’s only dual-qualified Veterinary Surgeon and human Dental Surgeon in this specialist field. 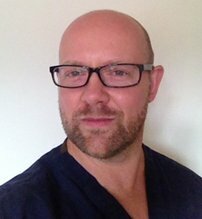 Director of Orosurgeon Ltd, Dr Smithson operates Veterinary Dental, Oral & Maxillofacial Referrals in North West England. First qualifying as a vet, he began his education in Veterinary Dentistry in 1999. 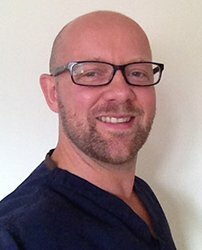 Dr Smithson undertook six years formal training in veterinary dentistry, oral & maxillofacial surgery, completing EVDC Diploma training and credentialing as he embarked on the human dentistry degree. Qualifying with honours as a Dental Surgeon, interest in emergencies, pain and oral surgery grew whilst working in hospital, clinic, private and NHS environments. Further study of pain, pulp and root canal treatment saw Dr Smithson gain the post-graduate human Certificate in Endodontics. Dr Smithson combines experience from veterinary specialist centres, human dental centres and hospitals. He is a member of the British Endodontic Society, British Association of Oral Surgeons and British Association of Oral and Maxillofacial Surgeons. President of the British Veterinary Dental Association and BVDA Course Organiser for nine years, Dr Smithson has had input into teaching within all UK University Veterinary Schools. He lectures and teaches post-graduate CPD worldwide and devised the UK’s first fully curricular undergraduate veterinary dentistry course. Dr Smithson is the national advisor on oral and dental health to the Guide Dogs for the Blind Association and lead lecturer in Dentistry and Oral Surgery at Nottingham University Veterinary School. …enables us to closely and continuously assess the anaesthetic throughout each procedure and tailor it according to each animal’s need. An experienced, qualified VN focused solely on GA cares for patients with full monitoring (capnography, SpO2, ECG, blood pressure – oscillometric & doppler, temperature, plus checks of auscultation, pulses, eye position, jaw tone etc). …is available in advance on specific dates. We are very fortunate to be able to offer this excellent additional service to our clients. Whilst this does add to cost, and clients are not obliged to use the Specialist Anaesthetist, it is the optimal approach for patients of increased risk. Examples include geriatric animals and those with additional disease or compromise, including kidney, heart, and diabetic issues. …provides all equipment, instruments and materials required for each procedure. This is an important and skilled job as knowledge of the extensive specialist kit is required to enable surgery to proceed at optimal pace and reduce general anaesthetic time. The procedures and equipment is not taught within any college or university, thus extensive training and experience is required to fulfil this role. The assistant may also aid a procedure by optimising the surgeon’s visualisation of a site eg with retraction and suction. Essentially, use of a theatre assistant enables the anaesthetist to concentrate purely on their patient’s anaesthetic.